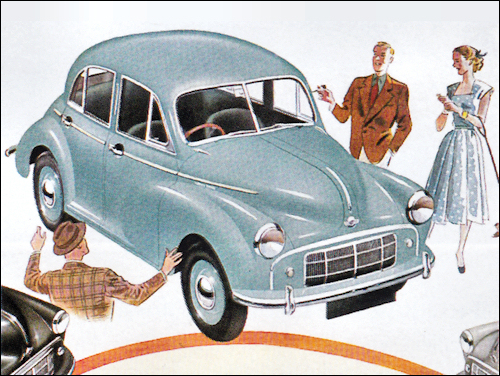 Połączenie z Austinem - powstał British Motor Corporation. 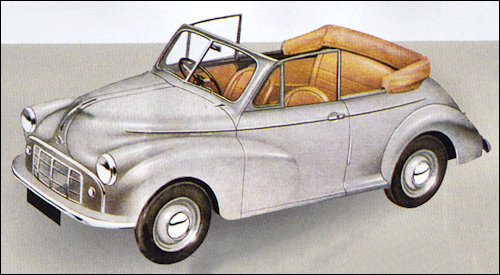 In late 1952 the Minor received a 30 bhp 803cc ohv BMC A series OHV engine and gearbox (Series II). 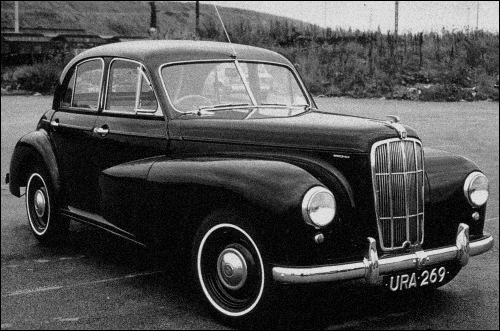 Oxford with new radiator grille introduced in October. 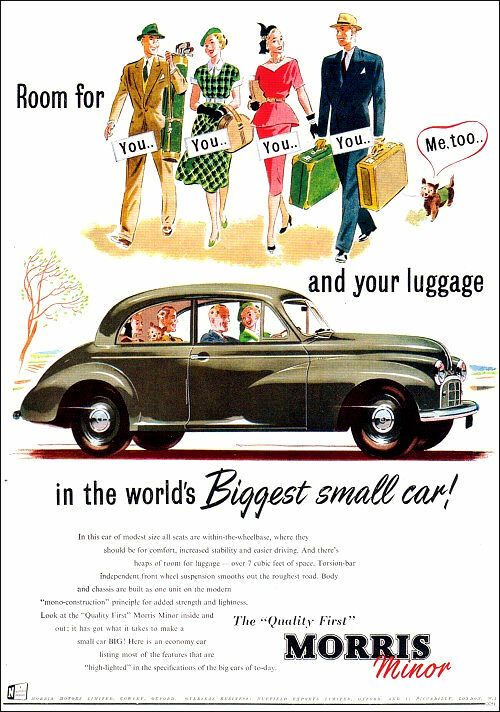 The Traveller has the same 1476-cc side-valve engine as the contemporary Oxford Saloon. Interiors are strictly utility. 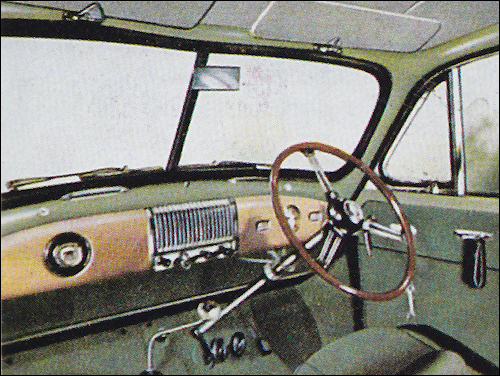 As with the Minor the Traveller has structural wooden frame. 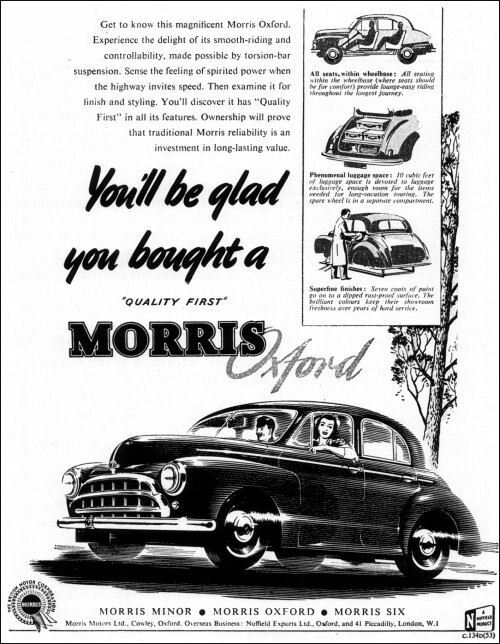 From October all Oxford models has a restyled grille with two horizontal bars. 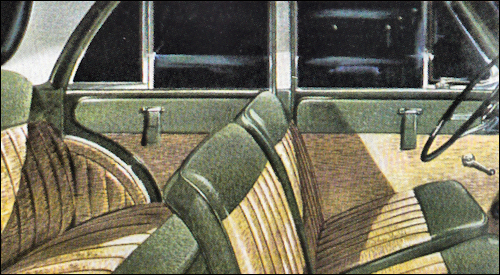 Oxford MO Traveller Estate Car made its appearance in September 1952 and is shown with the then current radiator grille. In 1952 the Six troublesome vertical valves were replaced by inclined ones.